This installation takes familiar, often stressful and annoying devices and creates an alternate reality in which these unwanted phones and noises become something beautiful. 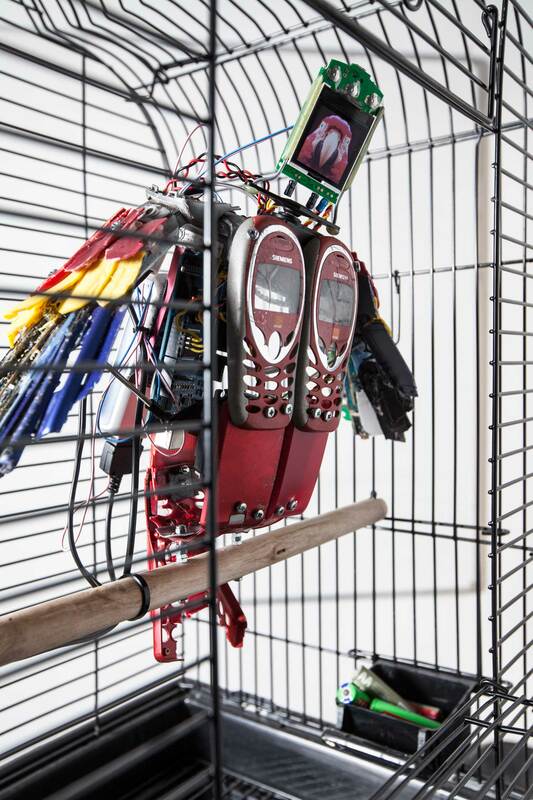 The bird consists of a number of discarded phones, one of which still functions. The working phone communicates with a tiny computer that then decides how the bird should move and how it should react to calls.